A broken ballast tank pipe might have sunk the Confederate submarine H.L. Hunley.That’s the latest discovery by the Clemson University conservators working to restore the doomed vessel. 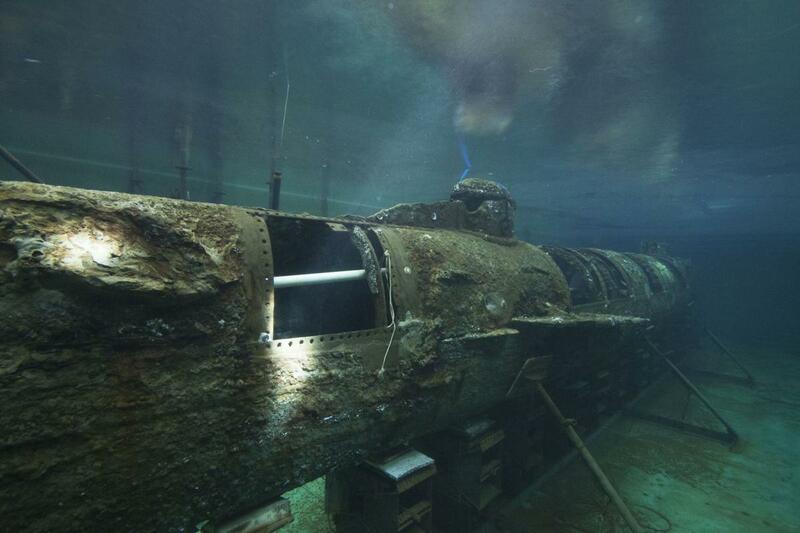 The scientists found a roughly 1-inch gap where the pipe should have been mounted on the side wall of the submarine. If the pipe broke off the night of the Hunley’s historic mission, it may have contributed to the sinking of the sub and the loss of her crew, according to an announcement Monday by the group Friends of the Hunley. The intake pipe was meant to fill the forward ballast tank with water. 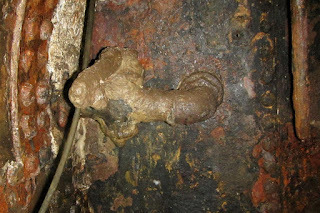 Because the hull is rounded, the pipe had to be forced into position, so it was under pressure from the beginning, said Clemson University Archaeologist Michael Scafuri. “You pushed it up and then locked it in place,” he said. Still, the find does not solve the mystery that has haunted the historic sub for more than 150 years: Why did the crew not make it back to shore? The hand-cranked 40-foot-long Civil War craft became the world’s first successful attack sub by sinking the Union blockade ship Housatonic off Sullivan’s Island on Feb. 17, 1864. The Hunley rammed a powder explosive into the Housatonic’s hull, detonating in a massive explosion. While the crew signaled they planned to return by reportedly flashing a blue lantern light toward shore, they never appeared. The sub and crew remains inside were found and later recovered 4 miles offshore in 2000. The crew was buried at Magnolia Cemetery in Charleston. Since the recovery, the sub has been undergoing conservation work at the Clemson University-run Warren Lasch Conservation Center in North Charleston on the grounds of the former Naval Base and Shipyard. It’s open for tours on weekends. Researchers are still trying to determine what happened or if the pipe began spewing water into the cramped compartment. “There are no signs of panic,” Scafuri said, no evidence that anyone tried to jam something in the pipe to clog the spill, or empty ballast to counteract it. “If this happened the night of the attack, how come no one responded?” he said. 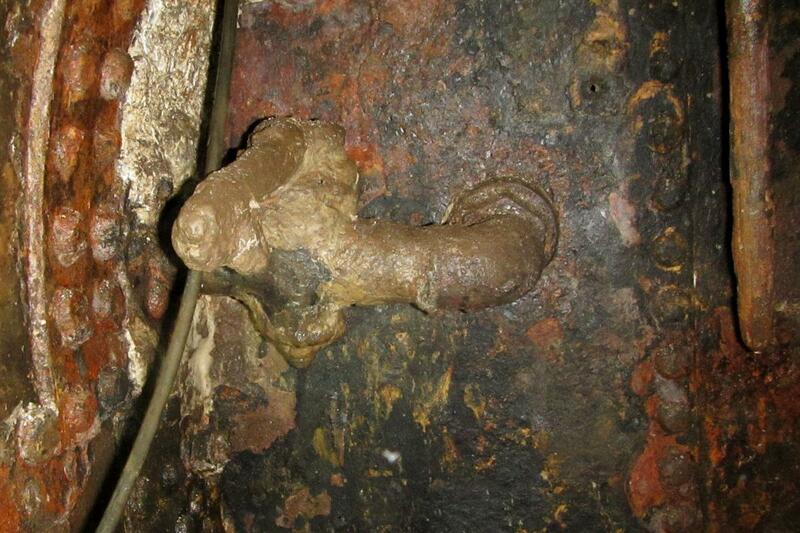 The stressed pipe could have fractured at any point in the odyssey of the submarine. The pipe could have separated gradually as the Hunley lay on the ocean bottom. One way or another, the pipe is a major new clue. 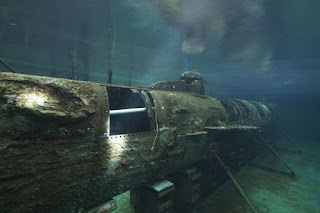 It would take only 50 to 70 gallons to sink the sub, said researchers at the University of Michigan, who partnered with Clemson and the Office of Naval Research on the Hunley investigation. The pipe could have disgorged that in only three minutes. “Unfortunately, there are no easy answers when investigating what led to a complex 150-year-old sinking. Still, (the pipe) is a very significant discovery that will help us tell the full story of the Hunley’s important chapter in naval history,” Scafuri said. “We’re trying to recreate a landmark event in submarine technology,” he said. “You will never know 100 percent what happened,” Scafuri said. “What we’re trying to do is get as close as we can to what happened.” The find came as the researchers cleared away the last of the concretion, a rock-hard crusting of accumulated sand, shell and organisms, from the inner and outer walls of the sub. A tooth found near where crew member Frank Collins is thought to have sat. Collins was buried alongside crew mates in 2004. A complex gear system that eased the effort of the crew cranking the submarine. The concretion removal involved at least two years of physically demanding work by conservators curled in up in the confines of the crew compartment and taking care not make mistakes or drop tools that would damage anything. Now mostly cleaned, the sub will sit in a conservation bath for about five years to preserve the metal and ready the vessel for permanent public display some day.